Sundial at the Fembohaus which houses the city museum of Nuremberg. Inside one can see a lot of fascinating stuff, e.g. a big model showing Nuremberg before World War II. 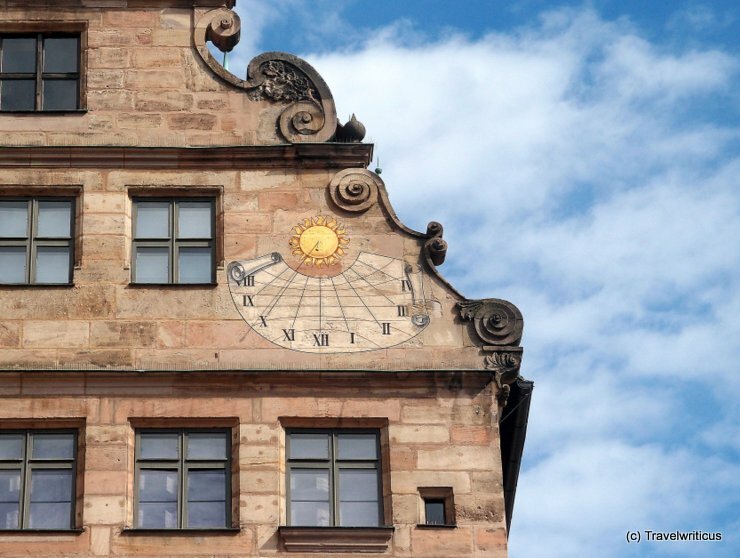 This entry was posted in Sundials and tagged Bavaria, Germany, Nuremberg by Travelwriticus. Bookmark the permalink.